Dont Miss This One! 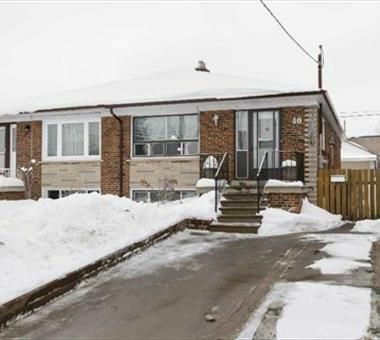 Large 3 Bdrm In High Demand Area With Income Potential, Separate Entrance To Basement, 2 Kitchen, New Laminate Floors On Main Floor, Ceramic Floors In Basement, Renovated Bathroom, New Furnace & Cac, Large Eat-In Kitchen, Long Driveway. Spacious Living & Dining Room, Parking For 4 Cars, Detached Garage. Walk To School, Daycare And Ttc(1Bus To Subway).